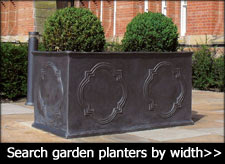 The plain pot made from durable fibreglass is a perfect accessory for any patio, roof garden or terrace. 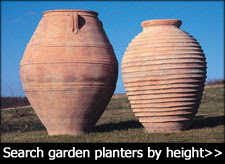 The plain pot has been finished with in a weathered terracotta style and is a classic conical shape. 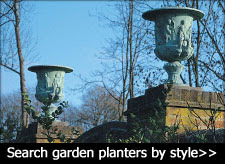 It is available in three different sizes. 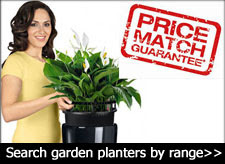 For best results mass plant with annuals and perennials, yellow and pink flowering plants work well (see images, left). The large pot is fantastic.